1 WHY CALCULATE CUSTOMER LIFETIME VALUE? Companies worldwide are investing billions of dollars in Customer Relationship Marketing (CRM) strategies and the technology to deliver their objectives of becoming customer focussed. Their main aims are generally to improve customer loyalty, contain costs of acquiring and serving customers and improve margins. In the process of re-orientating the business around the customer, companies are increasingly realising that not all customers are equal. Different customers provide different revenues to the organisation, they choose its products and services for different reasons and they defect for different reasons. This range of customer behaviour results in widely differing values across the customer base, in terms of customers’ future revenue to the business. To maximise profitability, it is important for companies to determine the lifetime value of customers and prospects so that they can differentiate their marketing activity and business processes. Successful CRM depends heavily on recruiting “The Right Customer” in the first place. Calculating customer lifetime value helps to ensure high value prospects (i.e., prospects who are likely to turn into high value customers) are the priority target for new customer acquisition. Adoption of CRM as a business strategy is often based on nothing more than the premise that retaining customers is ‘A Good Thing’. No doubt it is; a 5% increase in retention per annum will double your customer base in 14 years, assuming all else is equal. 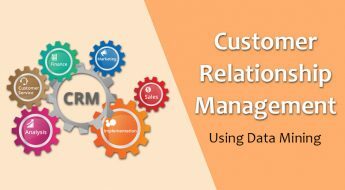 However, CRM should be about increasing profitability for the organisation through customer management – not just ‘customer retention’ per se. Unless analysis of customer lifetime value has been carried out, it is difficult to identify which customers should be retained. Indeed it would be presumptuous even to assume that customer retention should take priority over customer acquisition. Customer lifetime value is the measurement that provides the answer to this question. 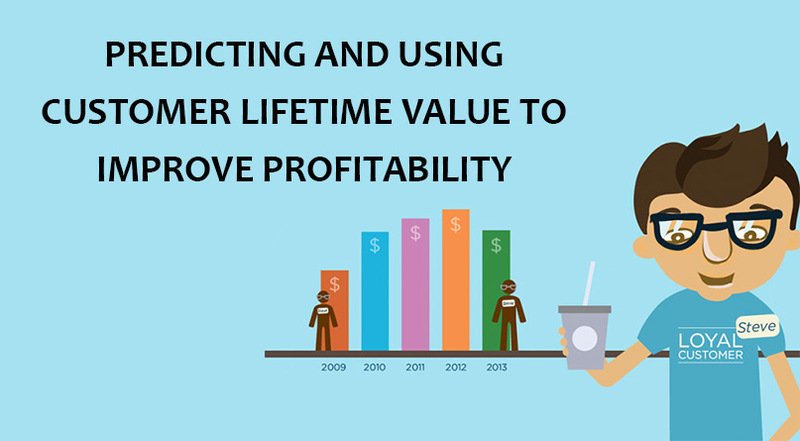 Lifetime value predictions for customers provide the basis for answering these questions. Similarly, customer development can also be evaluated in terms of changes to predicted revenue, when varying factors such as cross-sell, up-sell, referral rate, frequency of purchase, etc. Lifetime value can also be calculated for prospects, using predicted prospect conversion rates and subsequent customer retention rates to map out the likely revenue from each prospect. By varying prospect acquisition rates, cost-per-sale values, etc., the changes in lifetime value of prospects can be evaluated. Comparing the effect on lifetime value by changing the criteria which determine prospect acquisition, customer retention and customer development, enables proper comparisons to be made between the profitability of different marketing strategies. Calculating lifetime value for customers and prospects makes it possible to plan and implement differentiated marketing activity for different customers based on their value (and potential value) to the organisation. Different tactics can then be used to maximise return on investment. 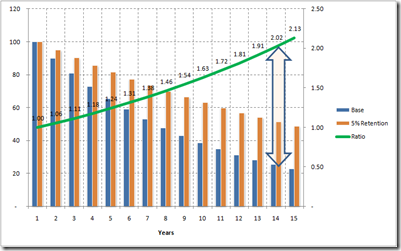 2 WHAT DO WE MEAN BYCUSTOMER LIFETIME VALUE? Customer lifetime value is a summary of the net present value of future contributions to profits and overhead that a company expects to make from a customer, from the present time until the customer ends the relationship. ‘Net present value’ can be thought of as simply adjusting future cash flows into today’s monetary value. Lifetime value is determined by predicting the various future ‘Events’ throughout a customer’s lifecycle with the organisation, and allocating the relevant revenues and costs to those Events. Define the optimum balance between acquisition and retention marketing activities, based on comparative payback to the business’. Set value thresholds for acquiring prospect data, such as list rentals, data lease, list swaps, affinity partner data exchange, etc. Recruit more prospects which “look” like high value customers. Set customer acquisition budgets to optimise profitability over a defined payback period. De-select prospects from campaigns where their lifetime value falls below profitable payback levels. Allocate prospects to different sales channels based on their lifetime value. Route enquirers to different call handling resources in call centres based on the value. Evaluate the cost-benefit of using third party data (geo-demographics, lifestyle data, business data overlays, etc.) 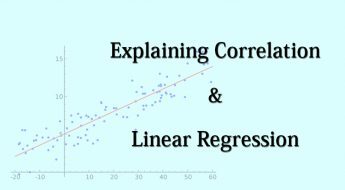 in terms of that data’s ability to enhance the differentiation of prospect values. Use “What If” scenarios to identify the payback of increasing prospect conversion rates. Put accurate values on customer referrals – set budget thresholds for profitable recruitment through this channel. Differentiate CRM activity according to customer value. Use “What If” scenarios to identify payback for increases in purchase frequency and/or customer retention – from direct sales as well as from indirect causes, such as improvements to customer satisfaction. Ensure retention of high value customers where they are under competitive threat. Allocate customers to different sales channels based on their lifetime value. Route customers to different call handling resources in call centres based on the value. Create “Share of Wallet” models to compare each customer’s lifetime value with the customer’s potential value with the organisation. Profile high value customers – look for more people with those characteristics Identify product portfolios of high value customers and protect / promote these products 1. Track customer lifetime value over time – identify trends in customer segments and segment migration. Use customer lifetime value at individual customer level for improving decision making by Customer Services for goodwill payments, reimbursements, upgrades, etc. Identify prime targets for loyalty scheme membership, or customers suitable for loyalty scheme membership upgrades in advance of their ‘transaction’ thresholds. Aggregate individual customer values to company totals to create company lifetime values. Identify revenues to be gained from specific upgrade and cross-sell actions – both for ‘internal’ products, as well as third party or affinity products. Identify revenue growth through increasing frequency of purchase. Compare potential increases against “share of wallet” estimates at customer or customer segment level. Use customer lifetime value as a decision criterion in campaign selection or de-selection. Use customer lifetime value for automated decision making in lead management and campaign automation tools. Track the change in values over time of customers and prospects within campaign cells compared to control cells. Provides the business case for implementing a CRM strategy. Track the future value of the total customer base over time – it is effectively the value of the company! 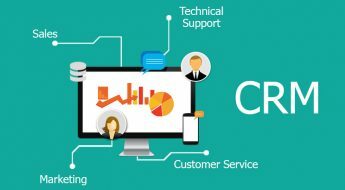 Provides the means to target and reward Customer Management staff in CRM orientated businesses, where customer value, rather than product sales and product revenues, are appropriate measurements of success. Identify customer groups within the customer base responsible for changes in overall database value– isolate the factors causing the changes and take action to either address problems or exploit opportunities. New competitor products or services are launched which are likely to steal customers or “Share of Customer”. Withdrawal from existing products or markets. Enter new markets or launch new products.